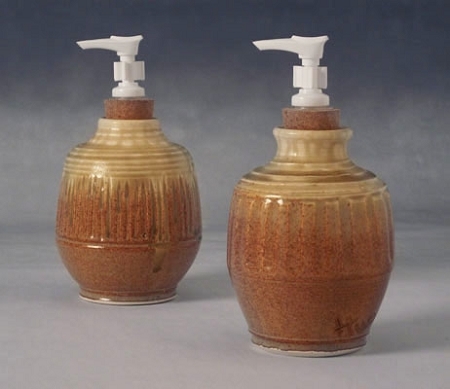 Buy Pottery Hand Sanitizer Pumps For Use In Your Church Communion Services. 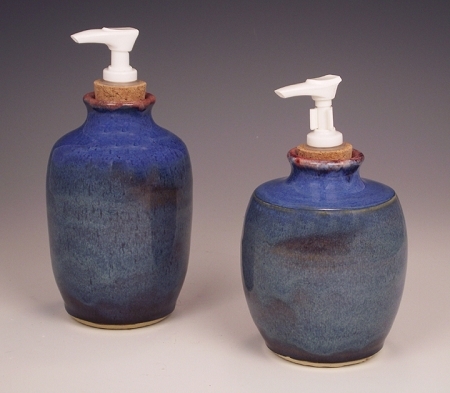 Every Piece Is Wheel Thrown of Fine English Porcelain and Hand Glazed. Made in Missouri, USA. A popular and very practical product from Faith Vessels! Ceramic Hand Sanitizer Pumps can be filled with anti-bacterial gel and placed so that communion stewards can discretely clean their hands prior to distributing communion. A simple gesture that will be so appreciated by everyone in your congregation.